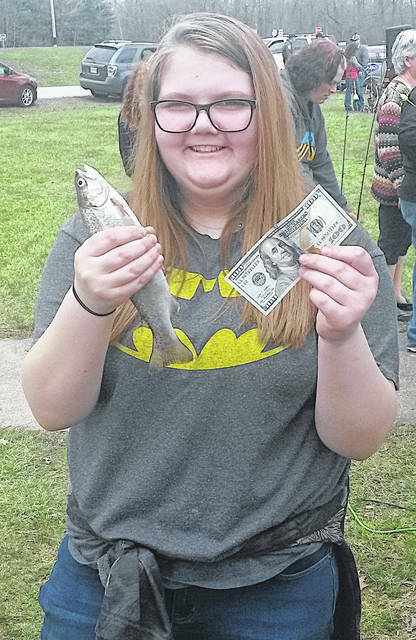 These three youngsters each won $100 by catching one of 15 tagged at the annual Highland County Rod & Gun Club Kid’s Trout Derby last Saturday. 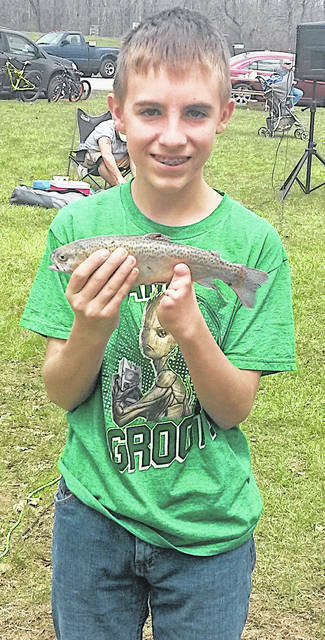 Pictured, from left, are Devon Ewing, Bricen Lamb and Emelee Shoemaker. 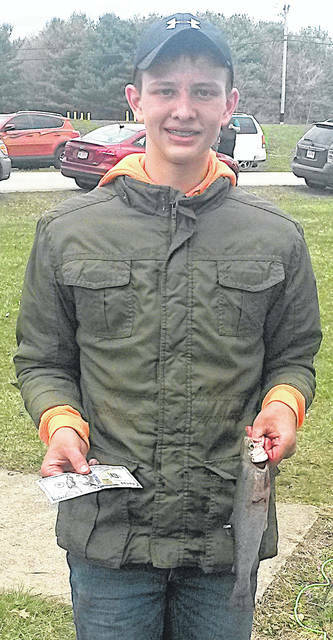 These three tagged fish were sponsored by the Highland County Coonhunters, Ohio Division of Wildlife and Rack Attack Sports.